Grew up in Ohio, graduated from University of Cincinnati with a degree in Computer Science after a short stint in Music Performance at Indiana University. Jason commissioned through OCS after participating in BDCP. He enjoys tinkering in software development, mainly iOS and web development, and has a passion for evangelizing technology. Jason loves being a dad, husband, and geek and also blogs separately at http://www.pwlk.net. Raised in Prince Frederick, Maryland, and graduated from Virginia Tech in 2003 with a B.S. 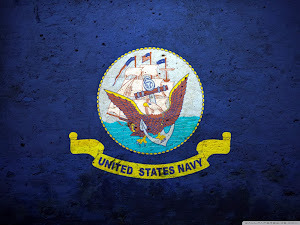 in Math, and the Naval Postgraduate School in 2010 with a M.S in Information Technology Management. He has been an officer in the Information Professional Community since 2007. He has served in tours at sea, on staff, in Iraq, and in Afghanistan. He currently serves as the Information Dominance Training Director at Naval Submarine School in Groton, CT and is attending the National Defense University, working on a M.S. in Government Information Leadership (CIO). Born and raised in Pensacola, Florida to a Navy family, Kevin started using computers at age nine. He is a Senior Manager at Dell SecureWorks, Inc., an industry leading Managed Security Service Provider (MSSP), which is part of Dell. He is responsible for the design and development of a major part of the company’s Security Information and Event Management (SIEM) platform. This includes data acquisition, correlation, and log data analysis. He uses his over 13 years in the network security space to be a thought leader for Dell SecureWorks and also influence the design and direction of the overall Counter Threat Platform (CTP). He is a 20-year veteran of the IT industry and holds a B.Sc in Computer Science. Kevin is co-author of Essential SNMP, second edition (O’Reilly and Associates, ISBN: 978-0-596-00840-6) and also Logging and Log Management: The Authoritative Guide to Understanding the Concepts Surrounding Logging and Log Management (Syngress, ISBN: 978-1-597-49635-3). He is currently co-authoring a new book for O’Reilly entitled Programming Elastic MapReduce. Expected publication is late 2013. You can reach Kevin at kevin_schmidt@dell.com. If you would like to be a contributor for On The Net Gang, send us a note on our contact page.